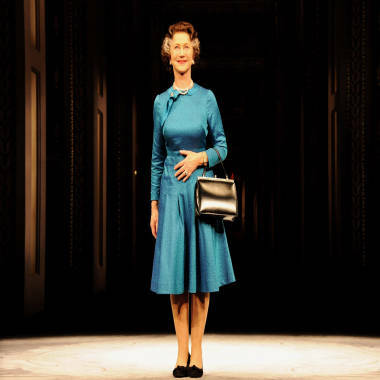 Helen Mirren in "The Audience." It's curtains for this corgi! A dog that figured prominently in "The Audience," a new play starring Helen Mirren that's currently in preview performances in London's West End, had to be replaced after missing the leading lady's cues on 16 different occasions. According to The Telegraph, 7-year-old Lizzy was supposed to enter stage right at the beginning of a scene, along with fellow corgi Rocky, then start exiting stage left before running back upon Mirren's command -- but Lizzy just didn't want to obey! "She was excited the first three times," "The Audience" director Stephen Daldry told the paper, explaining that Lizzy followed through during her first few performances, "and then I think she decided she didn't want to be an actress anymore. She decided to retire from the British stage. Now she's back home, a resting actress, resting by the fire." "People seem to think corgis nip and yap, but all the ones we have worked with -- including dear old Lizzy -- have been gorgeous," Daldry added. Get your adorable celebrity pet pics right here!